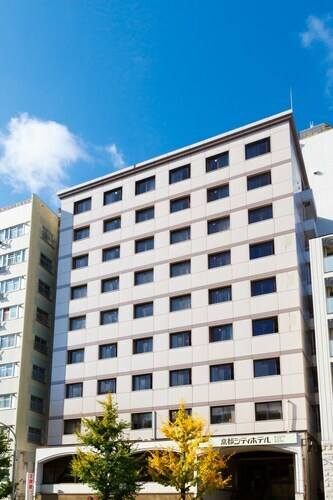 Kyoto Brighton Hotel is a 5-minute walk from Kyoto Imperial Palace and a 7-minute drive from Nijo Castle. Both Nishijin Textile Center and the Raku Museum, featuring traditional Japanese ceramics, are within a 10-minute walk. Guests can drive 10 minutes to the Kyoto International Manga Museum. 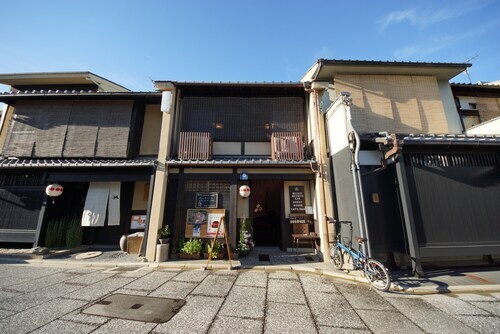 Located in Central Kyoto, this hostel is within 1 mi (2 km) of Kyoto International Manga Museum, Nijō Castle, and Kyoto Imperial Palace. Nishiki Market and Shijo Omiya are also within 1 mi (2 km). Marutamachi Station is 8 minutes by foot and Nijojo-mae Station is 12 minutes. 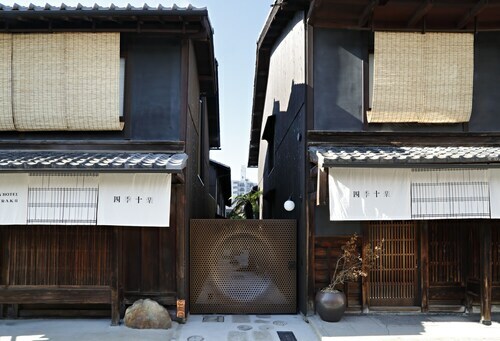 Located in Central Kyoto, this vacation home is within a 15-minute walk of Seimei Shrine, Nijō Castle, and Kyoto Imperial Palace. Doshisha University and Shijo Omiya are also within 1 mi (2 km). Marutamachi Station is 12 minutes by foot and Nijojo-mae Station is 15 minutes. 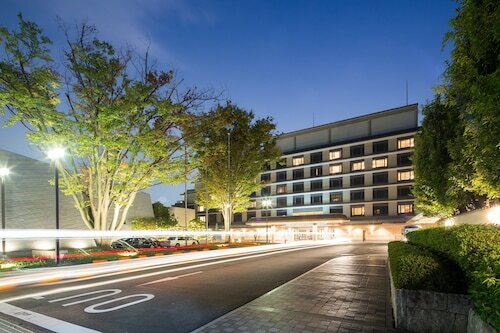 Located in Karasumaoike, this hotel is within 1 mi (2 km) of Seimei Shrine, Kitano Tenmangū, and Kyoto Imperial Palace. Nijō Castle and Shimogamo Shrine are also within 2 mi (3 km). Imadegawa Station is 12 minutes by foot and Kuramaguchi Station is 18 minutes. 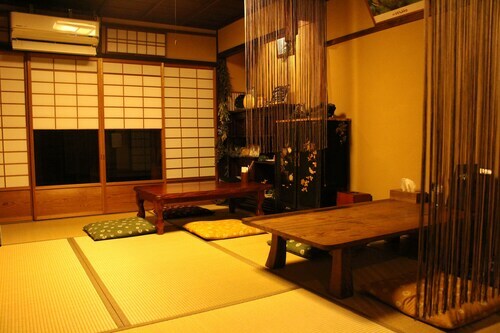 Located in Karasumaoike, this guesthouse is within 1 mi (2 km) of Kitano Tenmangū and Kinkaku-ji. Nijō Castle and Kyoto Imperial Palace are also within 2 mi (3 km). Kyoto Kitano-Hakubaicho Station is 10 minutes by foot and Kyoto Tojiin Station is 18 minutes. 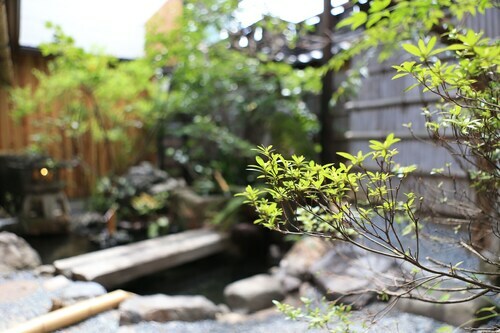 Located in Central Kyoto, this hostel is within 1 mi (2 km) of Seimei Shrine, Kyoto Imperial Palace, and Nijō Castle. Doshisha University and Shijo Omiya are also within 2 mi (3 km). Imadegawa Station is 21 minutes by foot and Nijojo-mae Station is 22 minutes.